Ubud in Bali has a great selection of relaxed and laid back restaurants serving a range of local Balinese and Indonesian food as well as international cuisine. 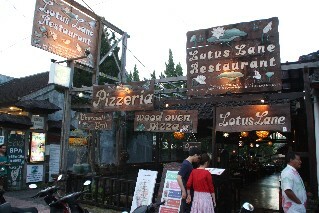 Here is a list of the best restaurants in Ubud. 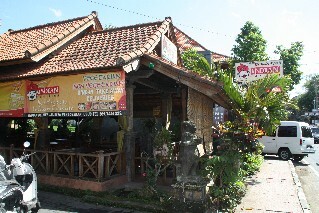 Jalan Raya Ubud Ph: +62 361 977 409 located on the main road of Ubud, offers a selection of Balinese and International cuisine including Indian tandoori chicken, steaks, fish and chips. 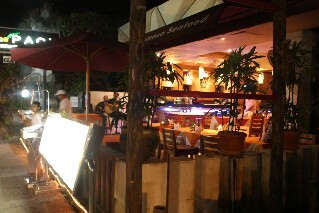 Casa Luna has live music during the weekends. Free WiFi internet access. Jalan Raya Pengosekan Ubud Ph: +62 361 7444 222. Vegetarian and non-vegetarian Indian cuisine. 100% Halal. Dine in, Take away or home delivery. Free WiFi Internet hot spot. 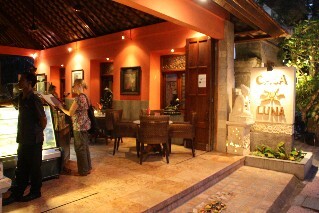 Jalan Hanoman Ubud Ph: +62 361 975 489. 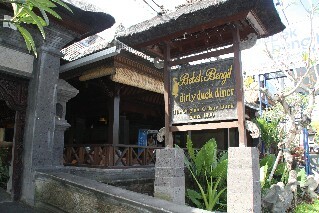 Serving the traditional Balinese cris py duck since 1990. Open 7 nights a week for dinner. 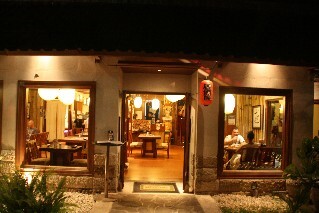 has a new location in Ubud on Jalan Hanoman 68, not far from the Monkey Forest. Ph: +62 361 977 195. With indoor air-conditioned section with sushi bar or open air dining with fan. Free Wi-Fi internet access. Open for lunch and dinner 7 days a week. Jalan Raya Ubud Ubud Ph: +62 361 975 428. 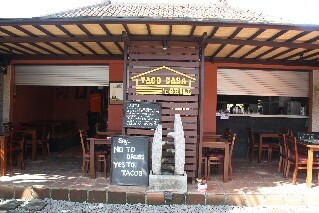 A great BBQ restaurant located on the main road of Ubud next to the Pura Dalem temple. 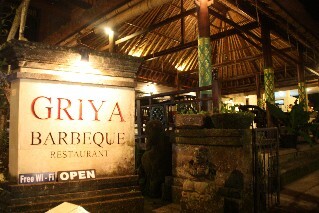 Traditional Balinese BBQ Restaurant. Free WiFi internet access. Jalan Raya Sanggingan Ubud. 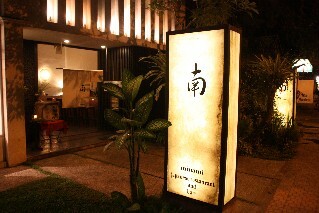 Serving a range of traditional Japanese cuisine including yakiniku, tempura, sushi and sashimi, okonomi-yaki, teppan, age-mono and yaki-mono..
Hanoman Street Ubud Ph: +62 361 980 777. A traditional Thai restaurant open daily from 10am to midnight. 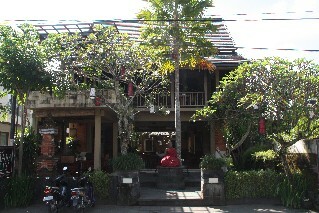 Jalan Raya Ubud Ubud Ph: +62 361 978 726. 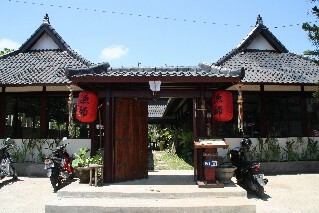 With a range of cuisine including local Balinese and Indonesian food and a good selection of meats and seafood barbequed on the charcoal grill at the front of the restaurant. Free WiFi internet access. 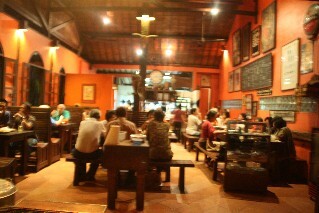 A Taste of Asian Spices 72 Monkey Forest Rd Ubud Ph: +62 361 973 472. 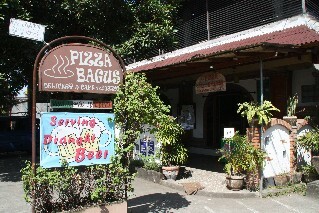 Serving a range of Balinese, Indonesian and Asian fusion cuisine. 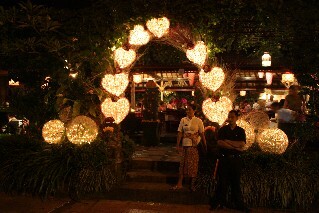 Jalan Sanggingan Ubud Bali Ph: +62 361 977 547. A great range of Mexican cuisine including Tacos, burritos and a great range of grilled meals including some of the best pork ribs you'll find in Bali. 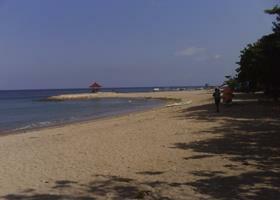 Sanur Beach has a quiet village atmosphere, located around 25 minutes drive from the airport. A quiet beachfront lined with all the high end beach resorts and 5 star hotel chains. 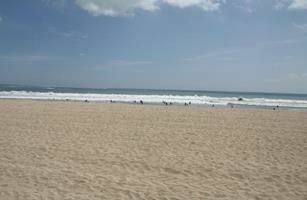 The famous Kuta beach great for learing how to surf and enjoying the famous, wild nightlight. 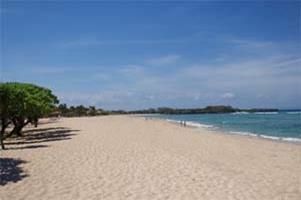 Located on the north coast of Bali around 2.5 hours drive from Kuta, Legian and Seminyak. Famous for dolphhin watching. 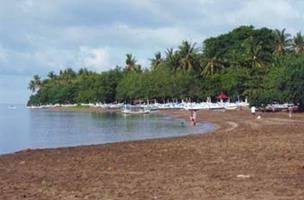 Seminyak Beach is around 20 minutes away from Kuta. Loads of high end hotels and private villas and some of the Best Restaurants in Bali.